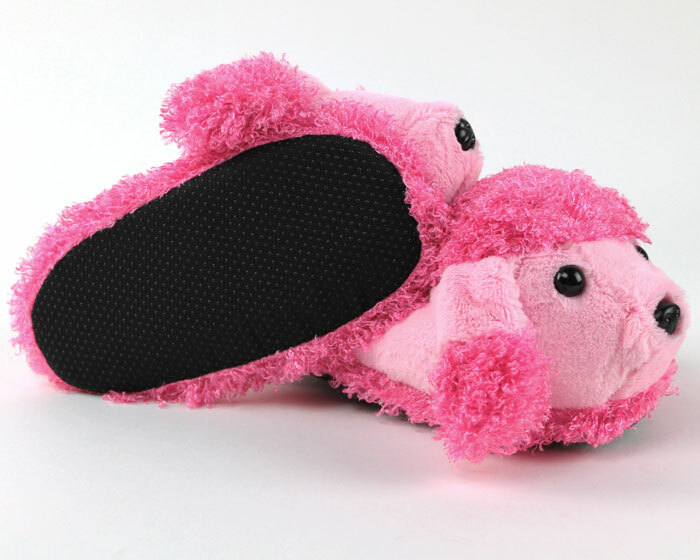 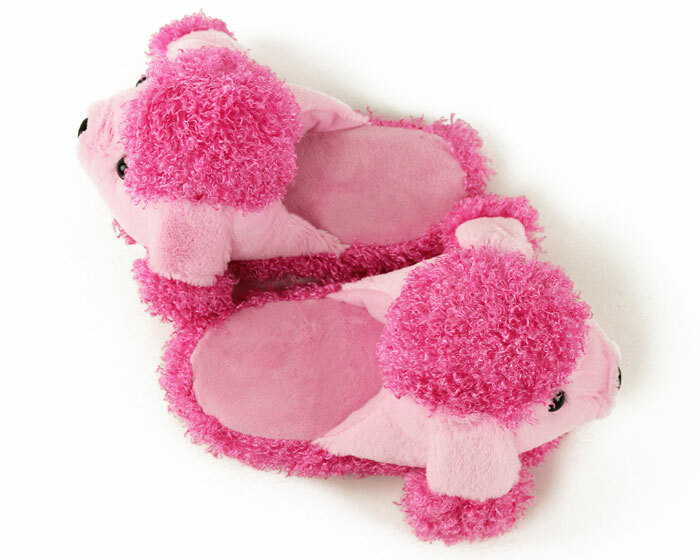 Give your pup the glamour she deserves in these plush Pink Poodle Slippers! 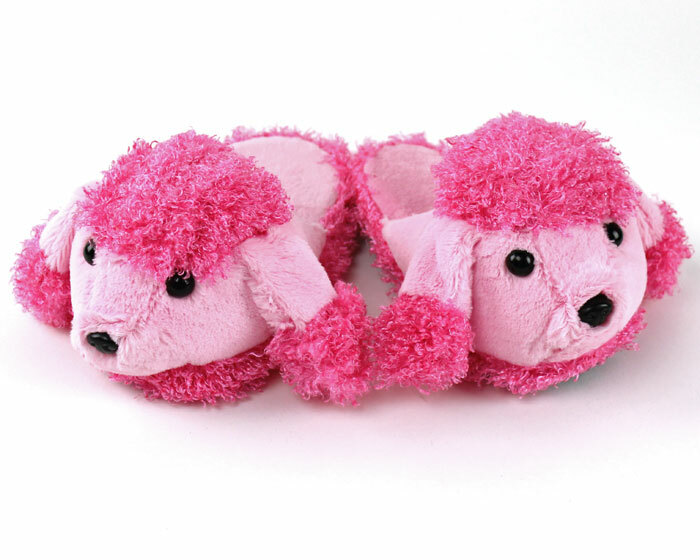 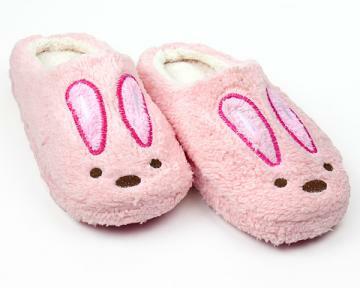 These slip-on poodles will provide warmth and comfort during the coldest months. 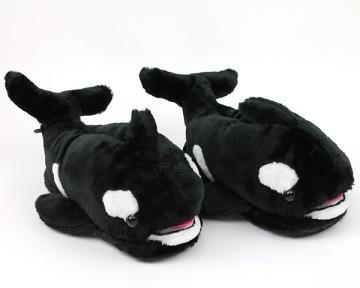 A non-skid sole keeps them from slipping around as they strut their stuff. 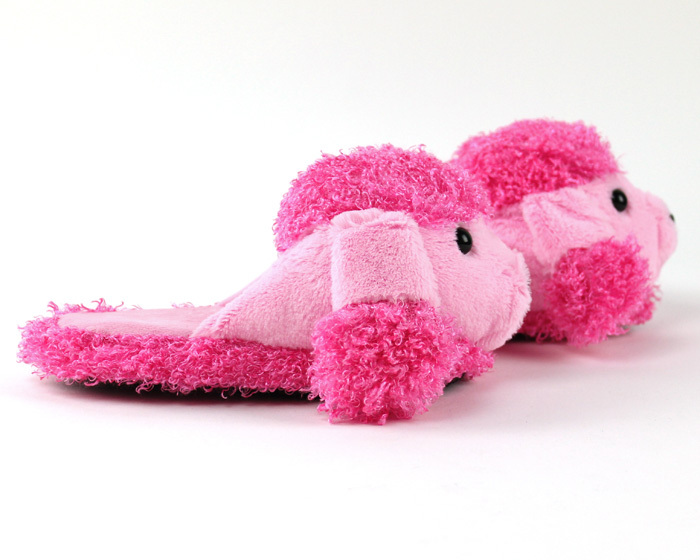 These posh Pink Poodles are a perfect gift for any child that loves living the high life. 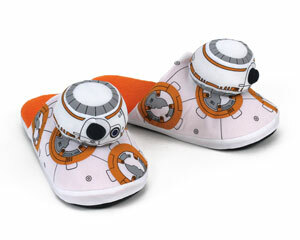 One size fits children ages 5-6.